If your work involves social media marketing, then chances are you have heard of or already used Easypromos… a Spanish-based startup offering an easy-to-use application to run Facebook promotions and campaigns. 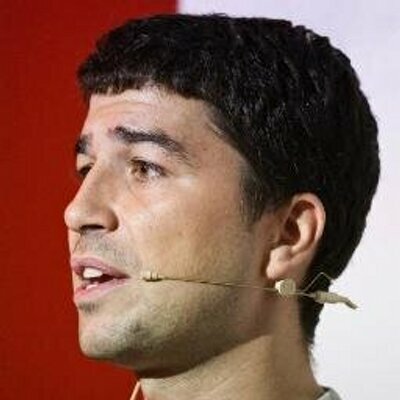 I asked Easypromos creator, Carles Bonfill (@carles),a few questions about this widely-used app. 1. When and how did the idea of Easypromos start? Easypromos started the development of the application in 2009 and it was launched during the first quarter of 2010. We found the Facebook apps for business not very useful for promotional campaigns and we came up with something good and easy to use for a small family business or a big Brand alike. Currently any business with Facebook presence can use Easypromos, whether it is a newly created page or one with millions of fans. Through Easypromos, over 70,000 promotions and contests have been created on Facebook. The application is available in 22 languages, including Spanish, English, Portuguese, Mandarin, Korean, Russian or Arabic. Right now, 40% of our promotions are from outside Spain and we would like to see this percentage grow, especially when it comes to the North American market. 3. What kind of promos work best to generate new fans? The best working promotions are those where participants engage their friends in the contest and invite them to like the page. Here we are talking about voting contests and the recently launched recruiting system promotions. In the latter, participants need to get their friends to sign up and, therefore, become fans in order to be eligible for the prize. 4. What has been the most memorable promotion you’ve seen so far? One of most impactful Facebook campaigns was the promotion Vueling Day created with the Easypromos White Label application. In 24h over 50,000 new fans were acquired using a simple but efficient mechanism. 5. What has been the key to succes for Easypromos? The ease of use, the stability and reliability of the application, the reasonable cost, the customer service, always custom tailored, the proactivity towards changes introduced by Facebook and feedback from clients, the innovation and the flexibility to incorporate updates in order to launch better promotions. 6. What can we expect to see in the next few months?